iOS 12, MacOS, Siri, MacBooks, and more. What will Apple have in store for us this year? Updated 05/31/18: Incorporated information from a new Bloomberg report that purports to have inside details on a few of Apple's plans for WWDC. Apple holds multiple events throughout the year, but two stand out above all others: the unveiling of new iPhones (typically in September), and the Worldwide Developers Conference in the summer. Known simply as WWDC, the week-long event focuses on the people who make all the apps and services we enjoy on our iPhones, iPads, Macs, and Apple Watches. While most of WWDC is centered around developer sessions, the week kicks off with a big keynote presentation that is must-watch viewing for any Apple fan. Apple’s top execs preview the company’s upcoming operating systems and often reveal new services and products. Here’s what we expect to see this year, as well as helpful links to watch the keynote yourself. We’ll have continuing coverage of all the hot news out of WWDC beginning on June 4. The big announcements from WWDC are made during the keynote presentation on the first day. This year, that’s June 4 at 10 a.m. Pacific Time. You can watch on Apple’s WWDC page through Safari on a Mac, iPhone, or iPad. If you have a Windows 10 PC, you can watch the stream using the Edge browser, but other browsers are not supported. With your Apple TV you can watch through the through the Events app. In addition to streaming the keynote, Apple will stream the entire conference, though the sessions are primarily of interest only to developers. You’ll first need to sign up for an account on Apple’s Developer website. A developer account is not needed to watch the June 4 keynote. 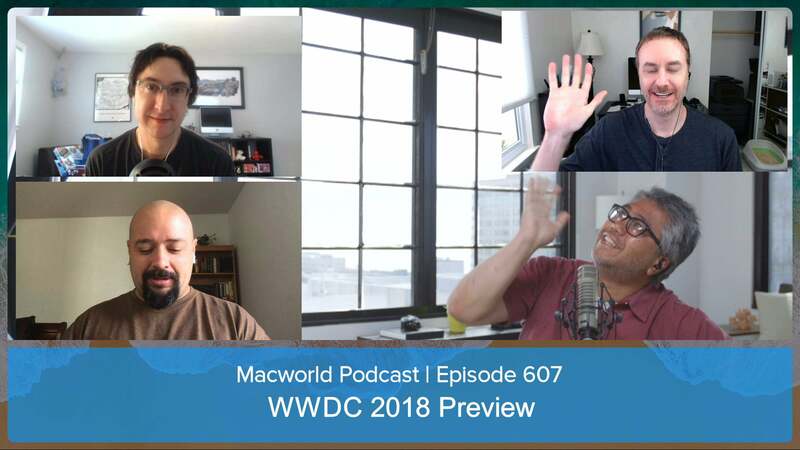 The focus of WWDC is on developers, and nothing is more important to them than preparing for changes in Apple’s operating systems and developer tools. WWDC keynotes always focus on upcoming releases of iOS and macOS (sometimes, as in 2016, there is little else). The announcements are usually followed by a beta release for developers, which is often very buggy and not feature complete, with a public beta coming weeks later. So what’s coming in iOS 12? We have our own wishlist, but there has been very little solid information about what Apple is going to preview. We have rounded up all of the iOS 12 rumors, and they all point to one thing: the next version of iOS will focus more on stability and reliability than dramatic, sweeping changes. What’s going to be in iOS 12? We’ll find out on June 4. However, a recent report from The Information says that Apple will finally loosen the leash on the NFC chips in its iPhones and Apple Watches in iOS 12. Currently only used for Apple Pay (and a few partner transit systems, like Suica in Japan), iOS 12 will finally allow iPhones and Apple Watches to work with NFC-enabled transit systems, ID systems, car doors, and more. We don’t know how open or flexible iOS 12 will be—we suspect it will not allow the unfettered access one finds on Android—but it seems unlikely that Apple will allow developers to support NFC-enabled payment systems that could compete with Apple Pay. Bloomberg has a couple of other specific tidbits worth noting, too. It says a Digital Health menu in the Settings app will allow users to see how much time they're spending with their iPhones and iPads, and in which apps. It also says ARKit is expected to see big improvements, including multi-player gaming in the same augmented reality space. While iOS 12 is not expected to give us a major interface overhaul or completely new versions of Apple’s core apps, that doesn’t mean we won’t still see plenty of new features. We expect Apple to spend more time talking about improvements to ARKit for developers making augmented reality apps, as well as the Health app and HealthKit developer tools. Users have been asking Apple for robust parental controls for years, and Apple is expected to finally deliver something in the next major revision of iOS. 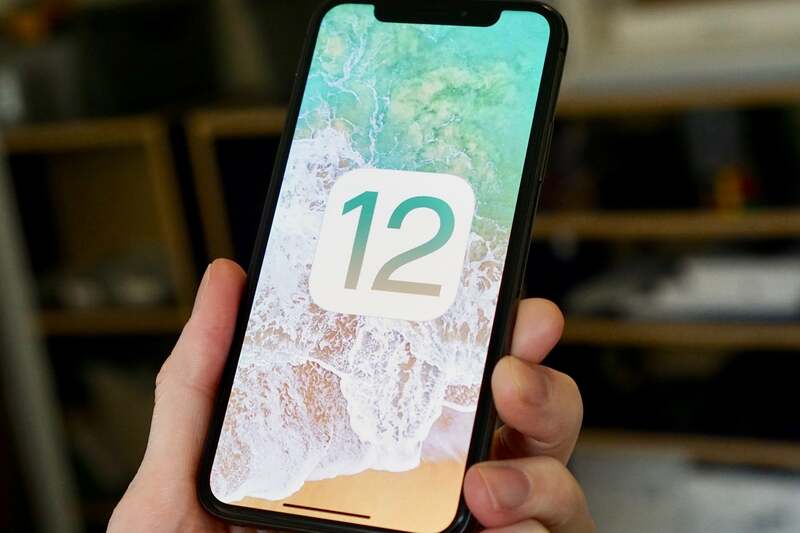 According to Mark Gurman at Bloomberg, iOS 12 will mark a shift in the way iOS updates are developed and delivered. Rather than trying to cram all the major features into a single big yearly update, Apple is said to be spreading major features out throughout the year, giving its developers time to maintain higher standards of quality. Though it seemingly wasn’t planned this way, iOS 11 has followed this model, with many of its major features released in point-releases after the initial iOS 11 launch. The next iOS could formalize this sort of release schedule, with major features trickling out throughout the year. We expect watchOS 5 to continue to push into health and fitness features. Perhaps we’ll see other workout types (like Yoga or expanded weightlifting features), and sleep tracking would be a fantastic addition. Users have been clamoring for custom watch faces, but we expect Apple to keep a tight lid on watch face development. Still, new Apple-provided watch faces and perhaps some new watch face customization options are not out of the question. Some of the new features of watchOS 5 may be held back until the announcement of a new Apple Watch, likely at the iPhone event in September. The next iteration of tvOS may not usher in major changes, but we still want to see Dolby Atmos support added, along with better HomeKit integration. Given Apple’s big investment in original programming, the TV app will eventually need a big update. Just as Apple Music was announced at WWDC in 2015, this could be the place Apple formally announces the video service that will give us access to all those original shows and series it’s producing (more than a dozen!). In all the rumors about what’s going on within Apple, we have heard almost nothing specific about Siri. For a core technology that touches every one of the company’s major products, that seems odd. Apple surely knows that Siri’s deficiencies relative to Alexa or Google Assistant have become the stuff of internet memes. Siri, to put it bluntly, needs a massive boost to remain competitive, and this would be the time to show it. It’s time to stop cringing when we see this. C’mon Apple, don’t let us down! Last year, Siri development officially moved from Eddy Cue’s “software and services” division to Craig Federighi’s “software engineering” teams. In April, Apple announced that it has hired John Giannandrea, the man who formerly ran Google’s AI efforts, to run its own machine learning and AI strategy. In other words, it’s clear that Apple recognizes that it has to push a lot harder on Siri development, and that includes making organizational and resource changes within the company. If Apple goes through WWDC and does not detail really big improvements to Siri, it’s in trouble. 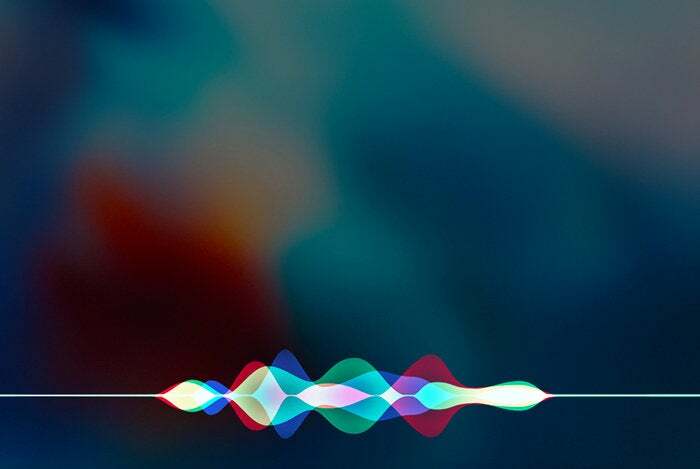 Making Siri work more more reliably, more often, with vastly more third-party products, services, and apps, should have been an Apple priority years ago. If the company isn’t ready to impress us with Siri improvements yet, it’s hard to see how its ever going to become competitive with Google and Amazon. WWDC is sometimes the venue at which Apple to announces new Mac hardware. Last year, we got a deluge of new Macs: the new iMac Pro, along with minor updates to the MacBook and MacBook Pro. We wouldn’t be at all surprised to see another round of relatively minor updates to these computers. The MacBook Pro line is due for a bump up to Intel’s eighth-generation Core processors, after all. 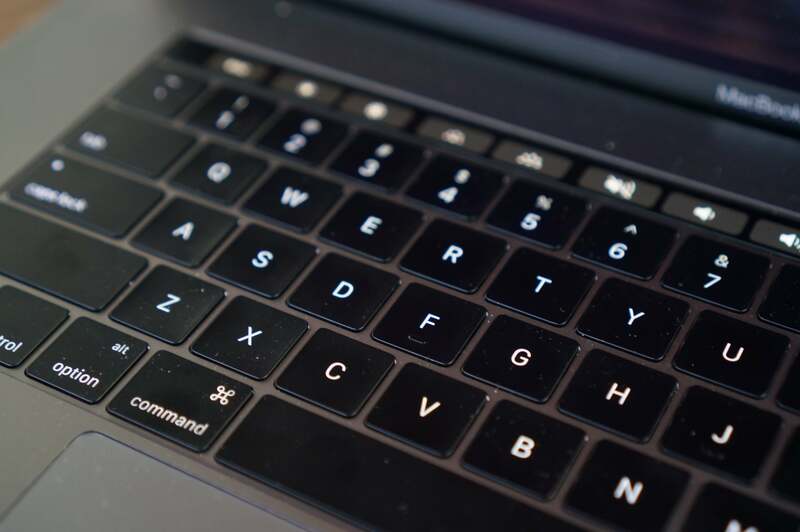 It’s probably too soon to expect a major design change, though Mac fans are desperately hoping for a replacement for Apple’s much-maligned butterfly keyboard, and the Touch Bar appears to be an experiment that has gone nowhere. Similarly, the iMac line could get a bump to eight-generation Intel chips, but we don’t expect much else. The MacBook Pro’s Butterfly keyboard has got to go, but it may not die just yet. If we got our wish, Apple would introduce new MacBook Pros that has an improved keyboard (with more travel and better reliability), the return of the SD card slot, one or two USB-A ports, and no Touch Bar. It’s probably too much to hope for; the next big MacBook Pro design update probably won’t land until next year, at least. Apple has been unusually open about the fact that it’s working on a new Mac Pro to replace the current, dated, “trash can” model. It’s expected to be easier to upgrade, more flexible, and more powerful, but beyond that, nobody knows what to expect. The latest rumors point to a 2019 release date, which means it probably won’t get announced at this year’s WWDC. Wouldn’t it be neat if Apple teased it, though? Maybe just a silhouette of the enclosure, with a “we can’t wait to tell you more about it” message? 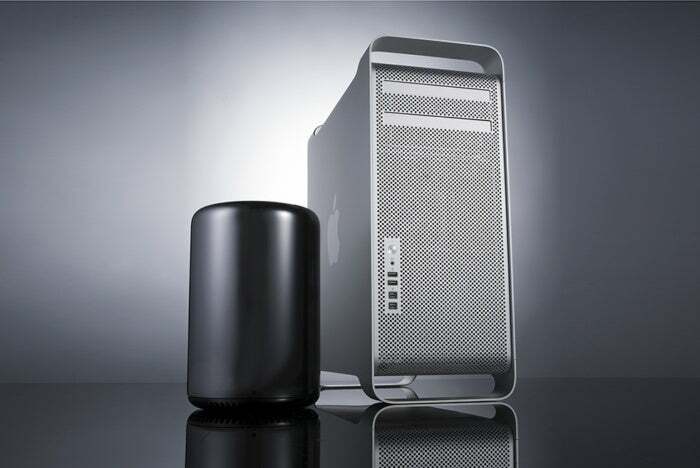 We can’t wait to see the next generation of Mac Pro, but it probably isn’t ready for the spotlight just yet. According to a recent Bloomberg report, none of this new hardware is ready for release yet. "The company is working on refreshes to the MacBook Pro and 12-inch MacBook with new Intel Corp. chips, and is planning a new low-cost laptop to succeed MacBook Air. But those won’t be ready until later this year, according to people familiar with the plans. Apple is also working on a redesigned iPad Pro line with Face ID, but that’s also expected later." Apple has, at times, shown off hardware at WWDC that isn't expected to ship for many months. Take last year's Mac Pro and HomePod, for example. So some of these improvements may be part of Monday's keynote, even if the products won't arrive until the fall. Apple announced a second generation iPad Pro at WWDC last year. At 10.5 and 12 inches, the new models were physically similar to the first-gen models, but included a powerful new A10X processor and a superior new display that adds HDR support and ProMotion. Odds are pretty good that a new iPad Pro will debut at WWDC, with A11X processor and possibly even an new slim-bezel design. Rumor has it there’s a new iPad Pro in the works, this time with a design that takes some cues from the iPhone X. That is: slimmer bezels and a TrueDepth camera with Face ID instead of a home button with Touch ID (it probably won’t have a narrower aspect ratio and a notch, though). It wouldn’t be at all out of place for such a product to debut at WWDC, especially since we just got a new regular iPad at Apple’s education event this spring. New design or no, a new iPad Pro would likely feature a new A11X processor. Such a chip would have the same general architecture as the A11 found in the iPhone 8 and iPhone X, but with more cores. The A11 used in phones has two high-performance CPU cores, four high-efficiency CPU cores, and three GPU cores. An A11X would likely feature an additional high-performance CPU core, one or two more high-efficiency cores, and two or three GPU cores. It might get a boost to maximum clock speed, too. These improvements would make it crazy fast. If you’re hoping for news about new iPhones, forget it. Apple holds a separate event to announce those, typically in September. The company has also used its big September events to announce the AirPods, and we expect second-generation AirPods would probably follow suit. Apple Watch is in the same boat. The original, as well as the second and third generation models, were unveiled at Apple’s September events. A fourth-generation Apple Watch is almost certainly on the way, but don’t expect to hear about it at WWDC. Uh, Apple? Did you forget about AirPower? 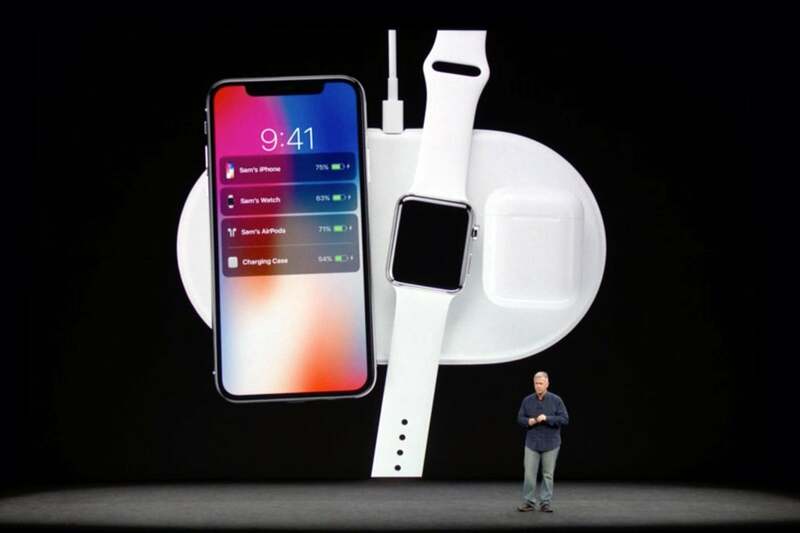 Did you forget about AirPower? It sort of feels like Apple has! Announced together with the iPhones last fall, Apple’s custom charging pad was said to release this year, with no price disclosed. Apple could use WWDC to update us on its price and availability, but that would only highlight the fact that it was announced so long ago and still hasn’t shipped. We give it only a 50/50 chance of making the stage; Apple may simply update us on pricing and availability via press release or an update to its website. There’s always the chance that Apple is going to unveil something totally new and unexpected at WWDC. Last year’s event was packed with more new announcements that usual including the iMac Pro and HomePod. Two years prior, Apple Music was the unexpected new reveal. There’s no guarantee that we’ll get a similar announcement this year. If we do, it might be a new lower-cost HomePod (possibly with Beats branding), for which there have been a few highly suspect rumors. Rumors of a redesigned iPhone SE 2 keep making the rounds, too. Unlike other iPhones, the SE model is usually not announced in September. There hasn’t been an iPhone announced at WWDC since 2010 (the iPhone 4), but if it ever happened again, the iPhone SE would be the model we’d expect to hear about. 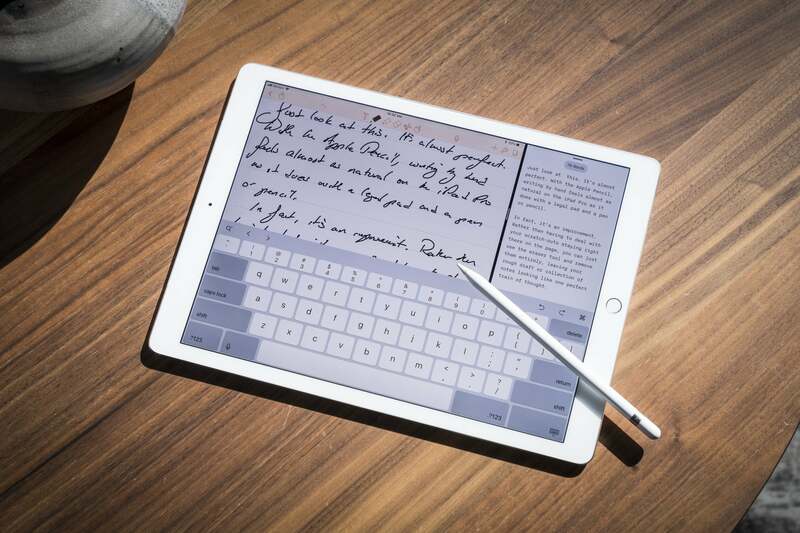 Is Apple working on a new Pencil? Maybe the company will finally revive the Mac Mini line? Could Apple reveal new over-the-ear headphones? There are plenty of possibilities for a surprise announcement at WWDC.